Usually in the beginning when my aides and I are still getting used to each other it can be rather awkward. Most of my aides have never had any caregiver role experience or any substantial interactions with people with disabilities. This might sound strange, but I prefer young, energetic new grads rather than the typical personal care attendant that comes in scrubs. I advertise for the positions on Care.com, Craigslist, word of mouth and if I’m really desperate I’ll go up to complete strangers and ask them (I told you I was wild, but we’ll come back to that). During the interview process I examine personality types, interest, education and overall understanding of the job. It depends on the semester, but on average I interview between two and three people for each opening. Once I finally hire the aides then we have training day where my mom and I teach them individually everything they need to know. Part of the training is teaching them to lift me. My mom thinks it is best if she shows them and then has them practice, however, she goes to a completely different part of the house because she thinks it is less nerve-racking for them if she is not there to watch. Can you say vulnerable? So there we are, a complete stranger and myself looking at each other. Their facial expression always says one thing, “Is it too late to run?” and mine, “Please DON’T drop me!! !” Fortunately no one has dropped me yet. I owe this to the fact that they do not know me well enough at that point. After the session they are supposed to come to the dorm from there on out. As one of my attendants told me recently, “You guys really threw me out to a pack of wolves”. Surprisingly, most catch on to my schedule and me rather quickly. Even though they comprehend and adjust to my needs, it does not mean they grasp me as a person. Only a special few understand me and the process of them learning to understand me, as a person is truly amazing. A majority of my attendants do their job very mechanically. I believe this is because they cannot see beyond the wheelchair. Yes, my disability and I can be quite intimidating, nonetheless I am human as well and not just an object that sits in a chair. Most start out the job beyond intimidated and stay in that awkward standoffish stage the whole semester. It is a gradual process for the few that eventually are able to see beyond the chair. Slowly we find similarities and they start to see that I am just a typical young adult. Eventually they see my heart first and then the chair. The process of them learning to appreciate my value is similar to people-first language. At first they start out as seeing me the ‘wheelchair girl’ and by the end they only view me as the girl in the wheelchair. I have always had a mental picture of my wheelchair, piece by piece, coming apart until I’m only what’s left. This is why I call the process the nuts and bolts effects because I picture the parts popping out of my chair. In extremely rare cases the aide will start to value me more than I actually do myself and actually start to stand up for me (ha-ha) when people discriminate against me. The process of getting to this peaceful state is very tiresome, however, it is one of the most rewarding. 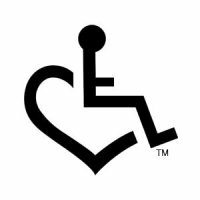 Being vulnerable is one of the most uncomfortable feelings, but is a must when you have a disability, in fact, I think it’s the definition. Although I always dread training another aide and being patient during the learning curve, I have discovered it is the only way I can be with my attendants and usually I’m glad I did because I showed them that physical disabilities are more than metal and deformities. Occasionally, I’ve made a remarkable friend as well. I encourage you all to be vulnerable in your various relationships because it’s the only way to get close to people and a lot of times it will pay off more than you could imagine. Check out this website http://www.3elove.com. This is a non-profit that educates others on people with disabilities rather than only focusing on the disability. Demi, once again, great blog! There is a TED talk about vulnerability and how it is a big part of being creative and alive – much like you! Elizabeth, thank you for the encouraging words! I will have to watch that episode. Again thank you for your support!